Even if Yoga is not a sport, I've decided to list it here. On Koh Chang, there are a few places where you can practise Yoga. Classes are opened to beginners as well as experts. Located in the center of Bailan, Sopa is now proposing Yoga classes every morning, starting at 10 o'clock. 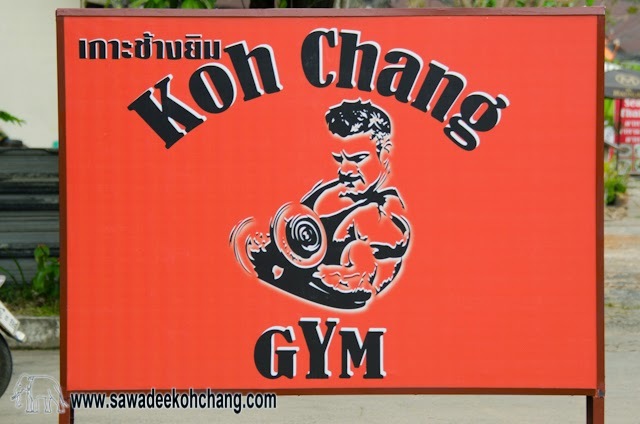 Located in Klong Prao, the classes are held on the wooden deck over the quiet lagoon and depending on the season two 90 minutes sessions are proposed, one at sunrise and one at sunset. Located in Lonely Beach, they propose different styles of Yoga classes twice a day, in the morning and evening, depending also on the season. On the quiet beach of Klong Kloi and in the bay of Bang Bao, they propose yoga directly on the beach or on the water with their SUP Yoga classes. Located on the east coast of the island this is the only health & wellness spa resort on Koh Chang which is proposing yoga packages.. This resort offers complete Yoga classes, Meditation and Detox retreat but also Yoga teacher training. During the retreat, you will enjoy Thai yoga every day, meditation, detox sessions and herbal sauna. This quiet and natural part of the island is perfect to relax your mind and body. They are located on Klong Prao estuary and they can propose SUP Yoga classes but also camp on several days with a complete program. Located on the south end of Klong Prao Beach, they offer Yoga Classes to their guests during the high season. Discover The Emerald Cove Resort! This new hostel is located in Lonely Beach. They propose different types of activities like Yoga.